From 6:30-7:30 PM, a special creative writing workshop with Sarah Rafael García! All ages 16 and over are welcomed. From 7:30-9:00 PM, An event featuring a reading from SanTana’s Fairy Tales, followed by Q&A segment, book sales, and signing. [SanTana’s Fairy Tales is a] bilingual collection of fairy tale–inspired stories of life in a contemporary West Coast barrio. In this debut story collection, García blends Mexican folklore and the tradition of the folk tales of the Brothers Grimm to present stories featuring Mexican, Chicano, and white characters in Santa Ana, California. Sarah Rafael García is a writer, community educator and traveler. Since publishing Las Niñas, she founded Barrio Writers and LibroMobile. Her writing has appeared in LATINO Magazine, Contrapuntos III, Outrage: A Protest Anthology For Injustice in a Post 9/11 World, La Tolteca Zine, The Acentos Review, among others. Sarah Rafael is also a Macondo Fellow and an editor for the Barrio Writers and pariahs anthologies. 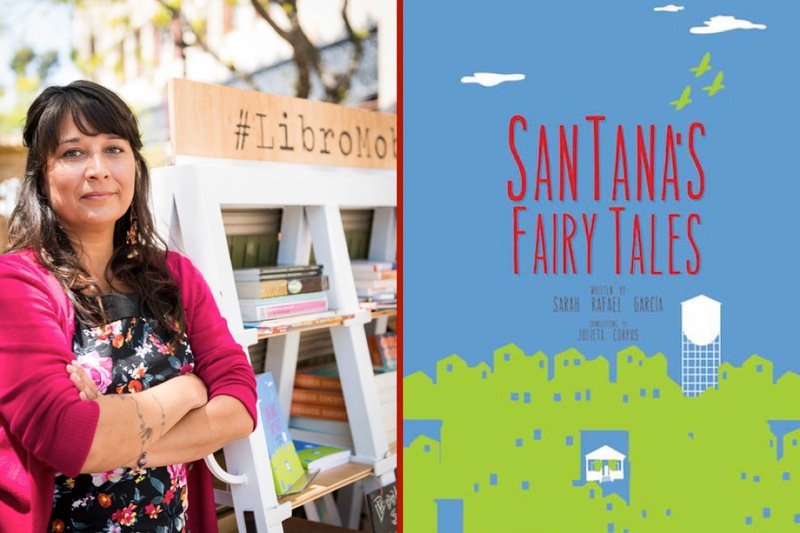 Most recently, Sarah Rafael was featured in Kirkus Reviews for her SanTana’s Fairy Tales collection, which was supported in part by The Andy Warhol Foundation for the Visual Arts, through a grant supporting the Artist-in-Residence initiative at Grand Central Art Center (GCAC). While at GCAC, she spends her days in downtown Santa Ana working on various projects, including a travel memoir, Do-It-Yourself MFA program, feminist short stories, and LibroMobile, a collaborative project by Red Salmon Arts and Community Engagement.